I resigned my post. We run out of time you know, and there are things to be done. 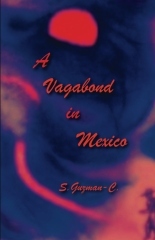 I will be finishing “The Eye of the Dragon” and promoting the new edition of A Vagabond in Mexico It will be fun! Everything is interconnected. I may be on the road again soon. Last trip? Maybe. Mexico? Maybe. And dancing . We are here to break boundaries, aren’t we?